"[the book] offers a meticulouos and appropriately dispassionate account of the French events of May 1968. Contributing to a more complete picture of what occurred, the book would be worthwhile reading in courses on comparative experiences of the 1960s." * Journal of Modern History "All and all, this is a terrific book written in a lively narrative. Seidman provides us with a breadth and depth of knowledge and a balanced analysis that make his version of May 1968 usable for scholarly study as well as for the classroom." * H-France Review The events of 1968 have been seen as a decisive turning point in the Western world of even mythical significance. The author takes a critical look at "May 1968" and questions whether the events were in fact as "revolutionary" as French and foreign commentators have indicated. 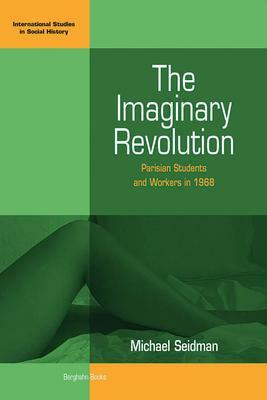 His conclusions are rather more ambivalent: culturally, he argues, the student movement changed little that had not already been challenged and altered in the late fifties and early sixties. The workers' strikes led to fewer working hours and higher wages, but these reforms reflected the secular demands of the French labor movement. "May 1968" was remarkable not because of the actual transformations it wrought but rather by virtue of the revolutionary power that much of the media and most scholars have attributed to it and which turned it into a symbol of a youthful, renewed, and freer society in France and beyond. Michael Seidman received his Ph.D. from the University of Amsterdam. He is the author of Workers against Work: Labor in Barcelona and Paris during the Popular Fronts, (1991) (Japanese translation, 1998) and of Republic of Egos: A Social History of the Spanish Civil War, (2002) (Spanish translation, 2003. He currently teaches at the University of North Carolina-Wilmington. Michael Seidman received his Ph.D. from the University of Amsterdam. He is the author of Workers against Work: Labor in Barcelona and Paris during the Popular Fronts, (1991) (Japanese translation, 1998) and of Republic of Egos: A Social History of the Spanish Civil War, (2002) (Spanish translation, 2003). His articles have appeared in British, American, Spanish, French, German, and Chinese journals. He has taught at Rutgers University and currently teaches at the University of North Carolina-Wilmington.